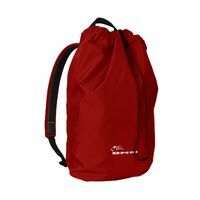 This rope bag is designed for easy storage in your pack, and it's the best lightweight option to keep your rope out of the dirt. 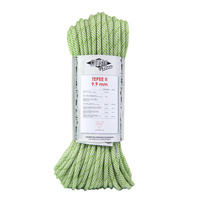 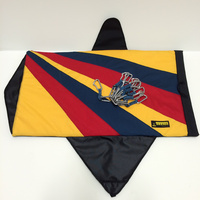 The Rope Tarp is great for alpine, crag'n or the climbing gym. 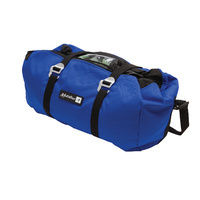 The round shape provides maximum coverage and packs efficiently. 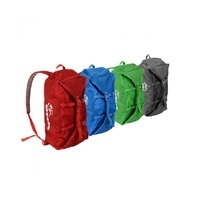 It's unique closure system works with any carabiner (not included) to keep the weight down and avoid broken buckles. 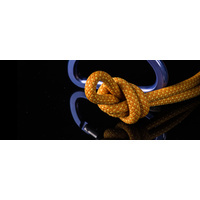 It includes rope end locators that are different colors to keep ends separate and tangle-free.